The optics, or lenses, plays a crucial role in a microscope. It’s therefore imperative to understand what makes a good objective lens, eyepiece lens, along with the resolutions. This will help you in picking the right microscope. When searching for a hobbyist or student microscope, you probably have numerous questions on your head regarding the type of illumination that best suits your needs and the kinds of components you require. You also might be dying to know the type of optics you’re getting as well as the meaning and the importance of Iris, DIN, and ABBE. If that’s the case, then this article will address your questions and also help you choose the right microscope to match your needs. 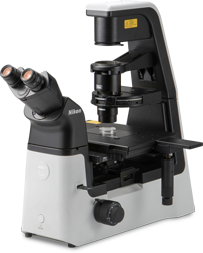 When looking for a microscope in Singapore, your first consideration should be its quality. Go for a piece that will withstand years of use, especially so if you want to realize a return on investment. Along those lines, you want a strong, well-built body on your equipment. Superior scopes are designed with metallic alloys that reduce vibration and are not broadly impacted by variations of temperature. -Metal focus gears joined to metal frames with metal screws. Although it can be hard to tell every aspect regarding construction when buying online, checking for the measurement and weight of each piece can serve as a guide for knowing the type of material, sturdiness, and size. Lenses or optics are one of the most vital components of a scope. However, they are supposed to be matched with superior focus system to ensure you get the best results. So, while you look at the optics, you should also factor in other components that make up the entire unit. Quality objective lenses should meet the DIN international standard (of threading and length). Purchasing a unit with objective lenses that adhere to the DIN regulation will not only ensure excellent performance, it will also come in handy when you need to replace the lens because they’re found in almost all microscope companies in the globe. Be sure to check for the achromatic (color corrected) properties of the lenses. A lens that isn’t color corrected will bar you from seeing certain things with your microscope. An eyepiece (ocular) is the lens that’s closest to your eye. When choosing a microscope in Singapore, you should check for one with a “wide field” eyepiece. This will allow you to easily position your eye so you can view a broad field – a larger hole gives you ample space to see through than a narrow one. A wide field also widens the field view, so you won’t have to move the slide while viewing. Resolution is the amount of detail that’s captured and presented to the eyepiece. It’s important to note that the resolution of a microscope comes from the objective lenses. Eyepieces only enlarge what the objective lens offers. On that point, a 10x eyepiece and a 40x objective will deliver a sharper detail than a 20x eyepiece and a 20x objective.